So one thing is apparent. If I write a post criticizing the team or fan support we are guaranteed a win. It worked in football, and again in basketball. Hmm, we seem to have a trend here folks. Last week was a rough time for all Louisville fans so if I came off too harsh, my apology. We have reached the first day of March and the madness is set to start in two weeks. This will be the first time in years that Louisville has found itself firmly on the bubble. I don’t think Louisville has been a bubble team since 2010 when it took a win over #1 Syracuse in the last game at Freedom Hall to secure a tourney bid. The Cards need some of that magic tonight against Virginia. A win would all but surely lock up a bid but for now,we are looking at Dayton on a Tuesday night in the First Four. 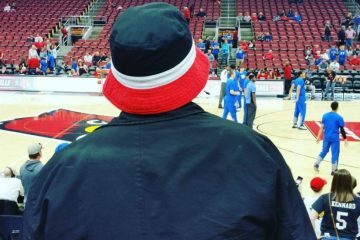 A year that saw fans in the summer saying “Louisville may make the Final Four” now has fans hoping they hear the Cards name on Selection Sunday. Thanks Coach 2. 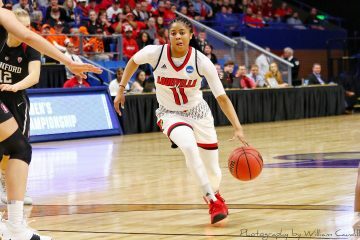 The Louisville Women’s team locked up the ACC Championship and also racked up player and coach of the year in the conference. Again, they have been one of the only bright spots in a otherwise depressing season. 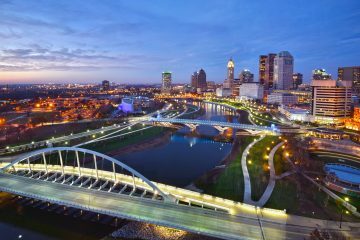 Special thanks to a special group of women because had it not been for you this city would have lined up to jump off the Kennedy bridge. We have one last home game tonight. One last time to see Q and Anas in a Louisville uniform. One last time to send off a group of guys who didn’t ask for turmoil and ridicule but instead played through all of the bullsh*t and competed in all but one game. Let’s do this one last time for the 2017-2018 season. Any outbursts and you will be removed from the court by the bailiff and my personal agent @TheTammaland ……to you she is simply called “Tammy2k”. Because of her, I have navigated through some great business ventures and signed some lucrative bucket hat deals. The terms of the deal were not released to the public, so please no questions. I asked Tammy to show me the buckets and she dropped a truckload of them on my table. Tammy2k and her brother will be making a trip to the YUM! tonight which is a blessing within itself. If you were not aware, Tammy’s brother Tom Malone was the victim of a horrendous hit and run accident last year that resulted in his leg being amputated. 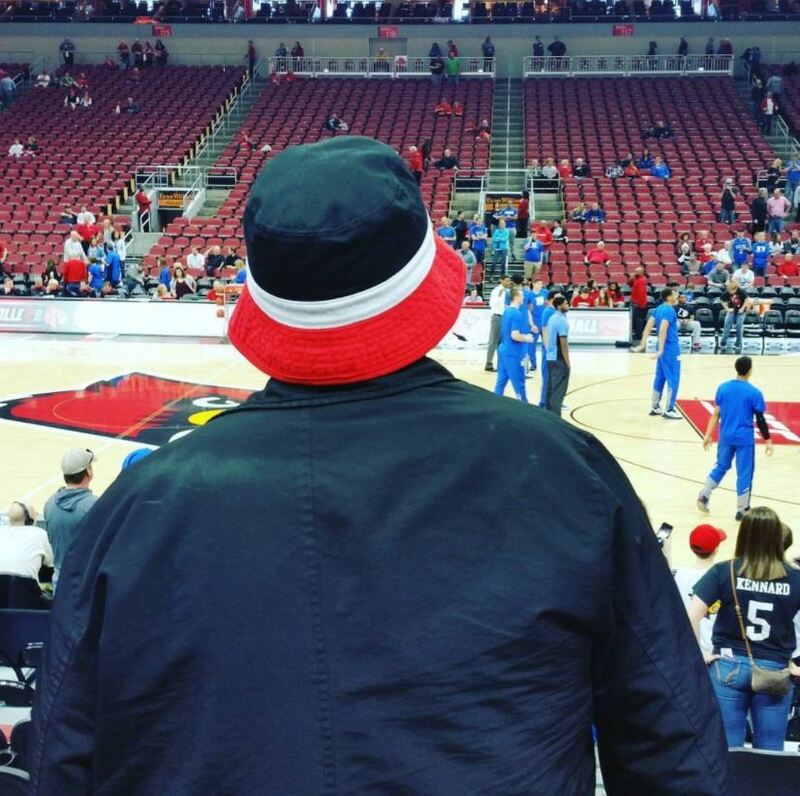 Although the road to recovery has been rough, CardNation welcomes him back to the YUM! and hopefully his presence in the building tonight will help secure a win. Welcome home Tom, we got your back. Let’s start this off right. Thank you Q for being a terrific point guard for the past four year. Thanks for your deep threes to secure victories, your awesome assist to turnover ration, and for single handily helping us secure a huge, much needed win against Virginia Tech last Saturday. We will miss you more than some of us are willing to admit. It is not easy to stay home and play for the hometown team, but you chose to do so. 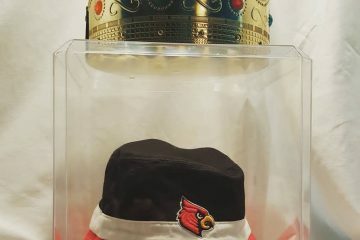 And even though a portion of the fanbase has acted like jerks and criticized your every move, the majority of us appreciate every thing you have done for Louisville while on and off the court. Oh yeah, thanks for dislocating both of Bam’s ankles as an early Christmas gift. Good luck Q. Thanks Anas for always being a joy to interview in the locker room no matter the result. We will miss your shot blocking and baby hook. We will also miss making fun of your body fat percentage and the fact you could cough and lose 10 pounds. While I was frustrated with you at times I am glad that you stuck it out and became one of the positive role models on this team. Good luck to you going forward. Dewayne Sutton needs to start going forward. Yes I know that our center would be 6’5 but the fact that Sutton can play defense and is a key rebounder is going to be big especially against UVA. UVA prides itself on draining the shot clock and then making clutch shots. The main thing we need Sutton to do is secure the rebounds on the offensive glass. In that first game, Louisville hung around by shooting the ball well, but the fact that UVA was making some RIDICULOUS shots in the first meeting was the only difference. That and that trash, stupid, boring, dumb packline defense. Again, win or lose UVA will be home in the first weekend of the tourney because they live to crush my dreams. Big Play Ray…….man. I would be shocked, absolutely shocked if Ray is back on the team next year and not on a NBA roster. The fact that Ray has improved in all areas of the fact that he is a defensive presence and threat around the basket is enough to get the attention of any NBA scout. 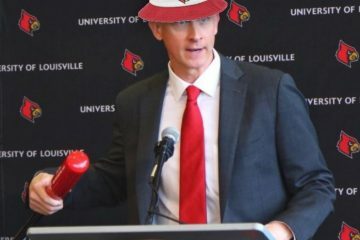 With an uncertain future for David Padgett and the fact that the NCdoubleA-holes are still waiting to rule on the FBI thing I would not see a legit reason for Ray to return to school. I think once he gets to NBA combine and the NBA execs see his raw talent his stock will rise. Cheer loud for Ray tonight folks, it may be his last home game as well. Deng Adel has had a topsy-turvy season but for Louisville to even dream about getting a victory he has to play well. We need Deng to score but if that shot is not dropping he needs to defend and pass the ball. I am not sure if Deng will return for his senior year but nothing has really stuck out to be me this year that suggests he is NBA ready. Again, Padgett’s uncertain future and the fact that Louisville has no incoming recruits could play a part. Deng was robbed of the NCAA tourney his freshman year by Chuck Smrt’s ineptness. If Louisville does not make the tourney this year I am not sure he would want to return to try his luck again. Adel will be an interesting story-line to watch after the season ends. For now, the Cards need him to play like he did against Virginia Tech for the rest of the season. Our leading scorer has to have a great game in order to get the win tonight. Darius “The Bulldog” Perry should get the sixth man award in the ACC just off his personality and charisma alone. He hit some big 3’s against V-Tech and played some stout defense down the stretch. I expect his minutes to increase these next few games. He is too good defensively to be on the bench. I think to be successful we need Ryan McMahon to go OFF. The dumb, stupid, weirdly successful packline defense is tough but if you can hit some deep 3’s you could cause some havoc. In their first match-up McMahon went 3-5 from the arc for 9 points. The Cards seemed to move away from him when he had the hot hand which was extremely puzzling. If McMahon can get hit some deep shots and if the Cards keep feeding him I feel better about our chances. Ryan has not scored more than 7 points since the UVA game, it is time for him to break out of his slump. Nothing has been the same since he wished the women of CardNation a Happy Valentine’s Day. More Malik Williams please. He has not played more than 8 minutes in the past few game and we need that to change. I think we are at the point where the fanbase can deal with defensive mistakes as long as the freshman center is getting valuable game experience. Assuming Louisville does make the tourney, I want Williams to be as ready as possible. He can’t do that while on the bench for 36 minutes every game. Jordan Nwora (see Malik Williams). The curious case of Nwora continues. Play three game, sit two game. Play 17 minutes one game, play four the next. Again, his defense may come around but we need his scoring. Nwora cannot improve his defense while sitting on the bench. I mean he could try to defend himself against Ray Ganong but I wouldn’t advise it. Tonight we are supposed to wear Red for our senior class. That means tonight is a “RED OUT”. That means wear red. Not pink, not grey, not fuchsia, not brown. RED. You guys screwed up the white out by wearing everything but white, this is your chance to make it right. 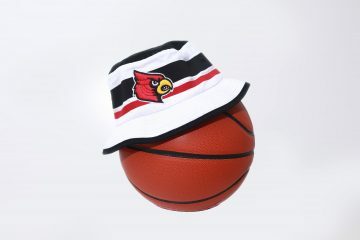 You’re a Louisville fan….dress like it. If you are in the group of fans that believe we are going to get beat tonight and have no chance, do us all a favor and give your tickets away. Why waste your time coming to a game where you somehow already know the outcome? Nothing is worse than sitting beside a fan who already has his mind made up that a loss is coming. They are the worst fans in the world, and if the team wins they are quieter than a church mouse. That also goes for the guys on press row. Your job is to cover the team, not piss and moan about them the entire game to anyone who will listen. I really hope some guys lose their credentials in the off-season. If you are wondering if that was a shot………it was. Thanks to Coach David Padgett. We are not sure if this is your last home game as the interim coach or not but if it is thank you for everything you did this season. As I have said before, if you throw me on any job two days before the start date I am messing something up. Thanks coach for handling every situation with class. And in closing, I don’t have any motivational words to give you. I think at this point we firmly know where we sit on the giant bubble that is the NCAA tourney. Our resume is not great, and we let a lot of key opportunities slip away especially at home. But when this team’s back was against the wall they came out swinging each time. At FSU, at V-Tech, etc. When the situation called for it, they responded in most situations. I expect this team to fight hard for all 40 minutes tonight. I don’t guarantee a win, but I have a feeling we will see Louisville’s best shot tonight. At least I hope we will. 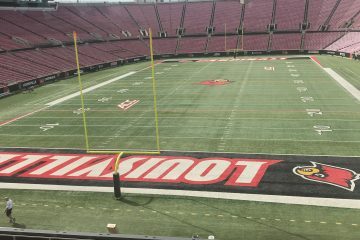 Louisville just has to keep fighting, and as fans we have to keep fighting with them. Keep cheering, make the YUM! so loud tonight your ears ring all weekend. Support the team, and most importantly support the seniors who have had it rough since the past 3 years. We owe them that much.